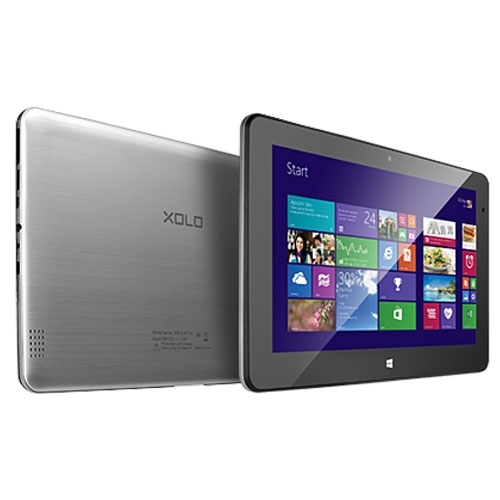 Xolo Win TAB 10.1 Windows 8.1 tablet has been launched exclusively on flipkart for a price of INR 19,990. The Win TAB Windows tablet comes with some vigorous specifications. It comes with a 10.1 inch display having 1366 x 768 pixels resolution and 10 multi-touch points. To make the audio experience better there are 2 speakers, each of 1.5w. Xolo has already launched their first Windows smartphone named as Xolo Q900s. The Win TAB comes preloaded with Microsoft office Home and Student 2013. To make the tablet snappy and for smooth multi-tasking there is AMD Temash A4-1200 CPU and Radeon HD8180 GPU. The Win TAB has 2GB of RAM and 32GB of eMMC. It weighs 750 grams and is 12mm thick. The Xolo Win is available in Black color, you can buy it online from flipkart. Offers : 50% off on purchase of Rapoo E2700 Wireless Keyboard and Rs 200 cash-back on rating or reviewing it after purchase.